BlitzTours is what I’m gonna call my business when I open it: It will cater solely to those of us who suffer from RoadTrip-itis. The criteria: Where can you go, how fast can you get there, how cheaply can you overnight, and what can you see? Google Maps sez that from St. Louis, New Orleans is a mere ten hours straight down I-55. ClifNotes version: Drive all day Thursday. Arrive at TravelLodge, Harvey, Louisiana. Sleep. Get up. 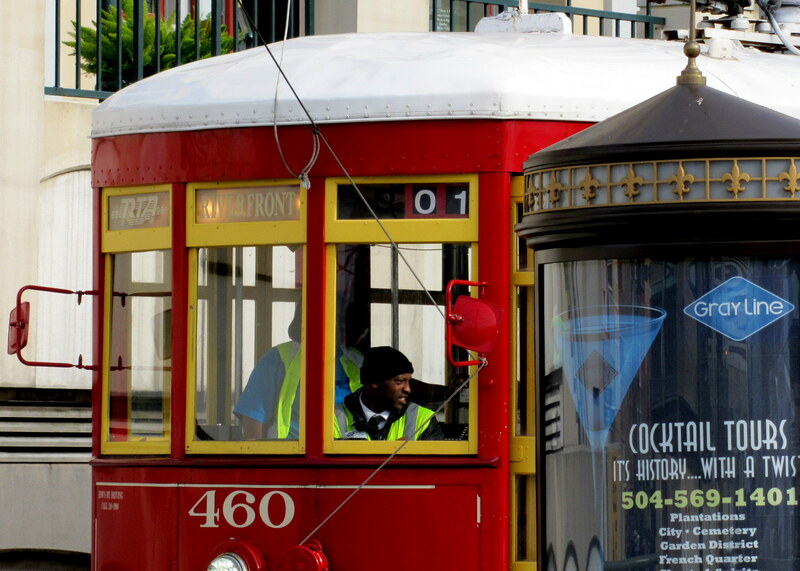 Find beignets & coffee, wander around, take riverboat tour of the harbor. Take pictures. Lots of pictures. Sleep, go home. Highlights: Harbor tour aboard the riverboat Natchez (http://mishaburnett.wordpress.com/2013/03/03/there-and-back-again-2/). Dinner at Voodoo BBQ. 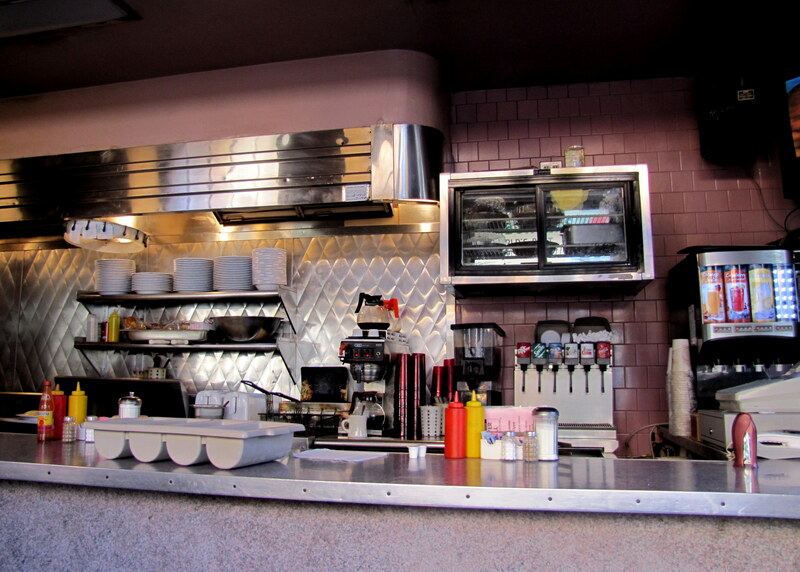 Breakfast at the Clover Diner. I’m not a big barbecue person — I don’t like the strong smoke taste that sticks to the back of my throat, and St. Louis sauces are way too sweet for me, but Voodoo BBQ was awesome. I had the brisket, which was moist and tender and not heavily smoked. Their sauces (there were three on the table) were more vinegar based, which I thought gave the sauces the right zing! to complement the meat. Voodoo also seems to be a small local chain, just three locations, I think, so all the folks there seemed to be locals too. Would I go back there? In a New York minute with time to spare. Do I want one here in St. Louis? Hell, yes! The Clover Diner: what can I say? 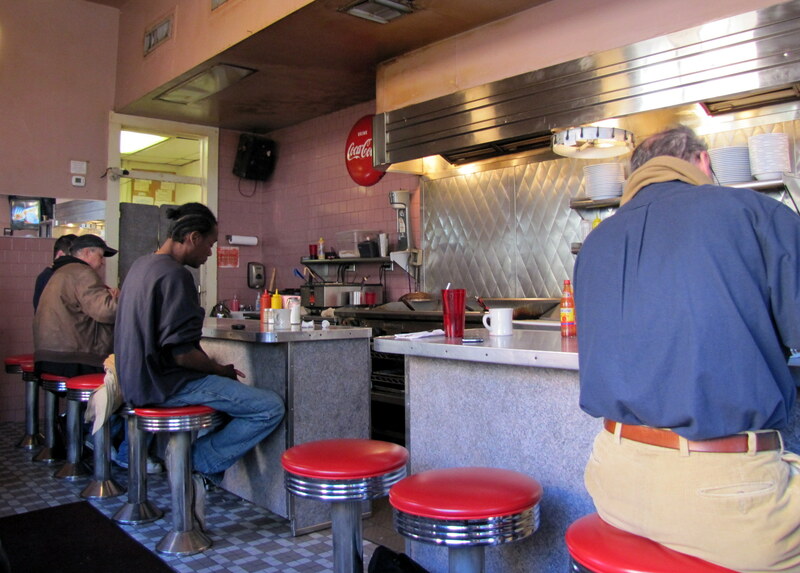 The Clover is a classic old-school diner and the grease on the ceiling tiles attest to it. The food is first rate. The omelette was amazingly high and fluffy and the grits (my true defining component) were perfect: thick enough the spoon stood up, but soft enough that the spoon eventually fell over. We were also jukebox serenaded by Cher and Abba (as if it could be anything else). The Clover is at the corner of Dumaine & Bourbon, and it is definitely a neighborhood place. Despite the devastation wrought by Hurricane Katrina in 2005, New Orleans is a vibrant city with great gobs of new construction. The French Quarter is eternal, and while everyone knows about the public drinking at night, I find that I love places before they put on their tourist masks. 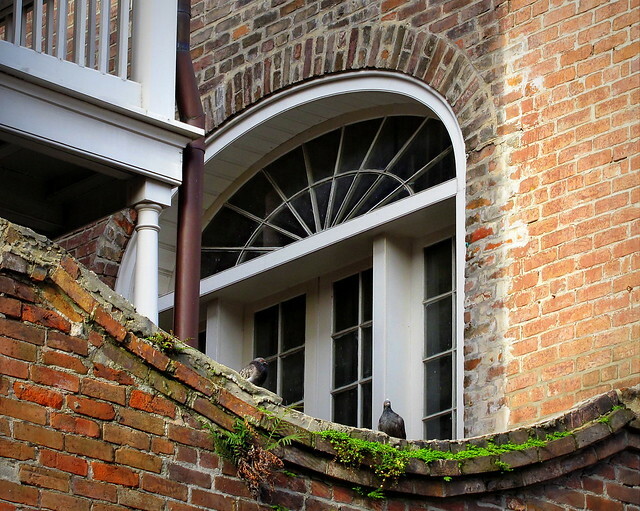 The French Quarter is still a neighborhood. People have apartments there, and go to the laundry-mat, and clean the streets. 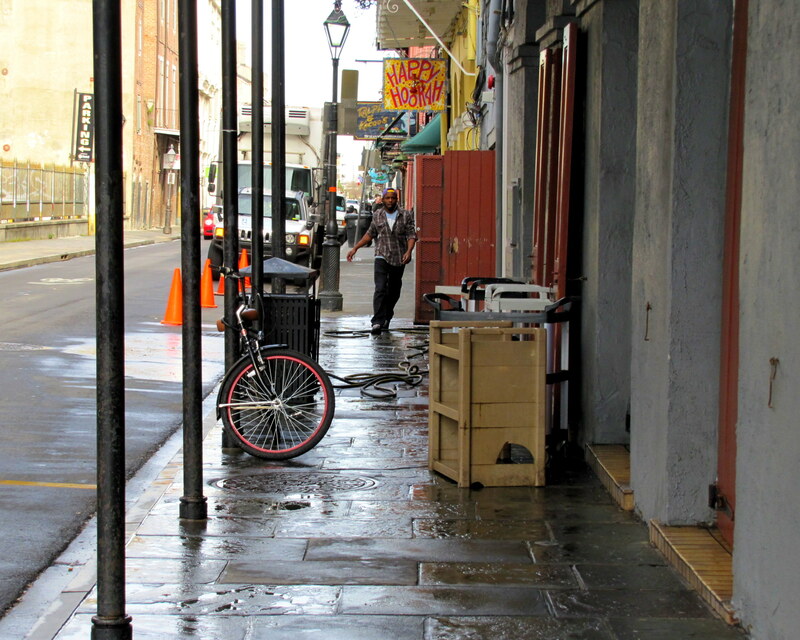 The seven A.M. French Quarter is not something most tourists seek out, but I did (dragging poor Misha with me), and that’s where you find the true heart of the area.